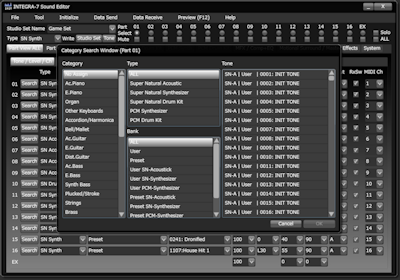 This software is the tone editor for Roland INTEGRA-7 SuperNATURAL Sound Module. 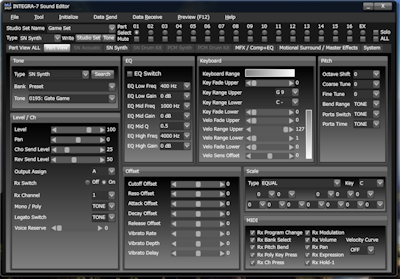 This Editor is not VST/AU Plugin Editor. 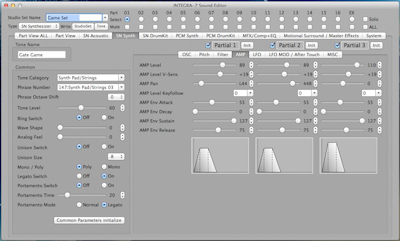 Roland Official Integra-7 VST3/AU Plugin Editor (64bit OS Only) are here. The INTEGRA-7 actually integrates three tone generation concepts for extraordinarily broad voicing versatility. 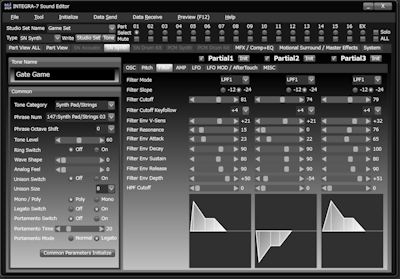 Super Natural Acoustic and Drum kit(with Behavier Modeling technology) and PCM Synthesis (XV-5080 and ALL SRX Series are integrated). Motional Surround technology is 3D sound technology. 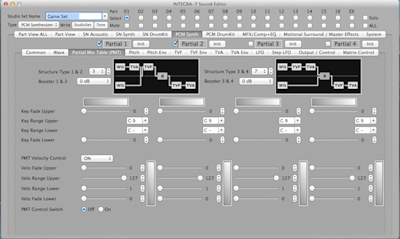 It was called "Roland Sound Space (RSS)". - Operation of all the parameter was enabled from PC. 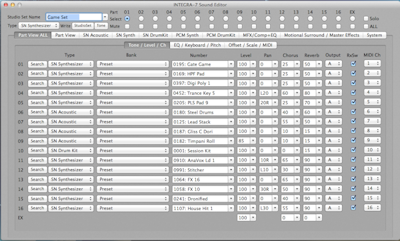 the user interface which can perform making sound conveniently. 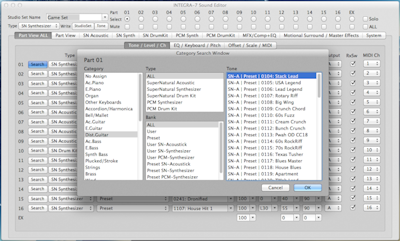 - This software can save SMF (Standard MIDI File) so that voice data can also be passed to the Mac users and Linux user, etc. - Memory : System Requirements for Windows + 1GB for This Editor. - Graphics: The DirectX version level is greater than or equal to version 9.0. Please install .NET Framework 4.7.2 or later from Windows Update or here. - Memory : System Requirements for macOS + 1GB for This Editor. - Resolution 1366 x 768. 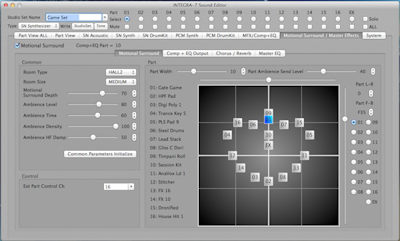 * Please configure as follows to use INTEGRA-7 Sound Editor and DAW Software. 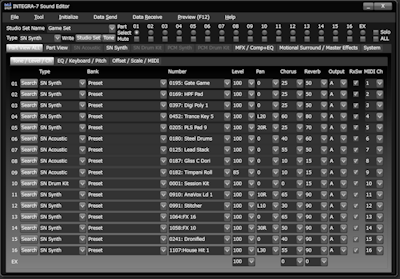 INTEGRA-7 USB Driver setting "VENDER(USB+AUDIO)" and install Roland's USB Driver. 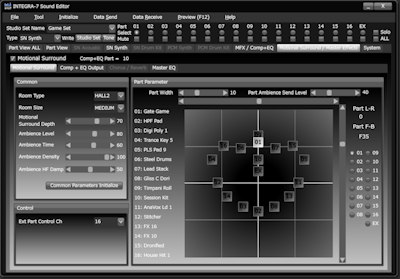 INTEGRA-7 Sound Editor MIDI setting (IN/OUT) -> "INTEGRA-7 CTRL"
DAW Software MIDI setting (IN/OUT) -> "INTEGRA-7"
when a product requiring the driver is connected to the computer. Meiryo ClearType fonts for XP * Meiryo is Japanese font. but this software is writen by English Language. * When you run on Windows 8.x / 10, click "More Info", and click "Run Anyway". 2. Type "sudo spctl --master-disable"
3. 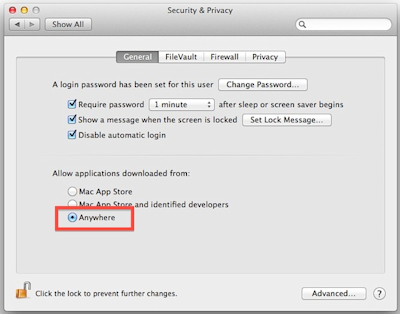 Look for "Allow applications downloaded from:" and choose "Anywhere"
4. 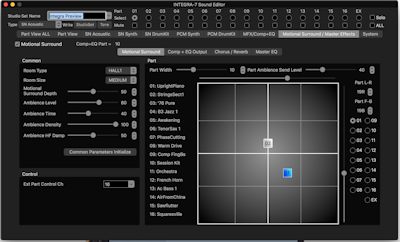 Please return a setup Default, if INTEGRA-7 Sound Editor starts.